A quick word on simple syrup. The recipe I used is for a thicker syrup, with a 2:1 ratio, which is more common with southern sweet tea. Others are much thinner with a 1:1 ratio. I love the thicker syrup because it goes a lot further, so I don’t make it as often. A little bit goes a long way. Leann Sweeney’s “Jillian’s Sweet Tea” has the instructions for the thicker simple syrup in her recipe. Basically it’s just a 2 sugar to 1 water ratio, so 6 cups of sugar to 3 cups of water. If you’re using bottled water, it can be hot, but if you’re using tap, definitely use cold water, since it’s the cleanest water for drinking (think no water heater). 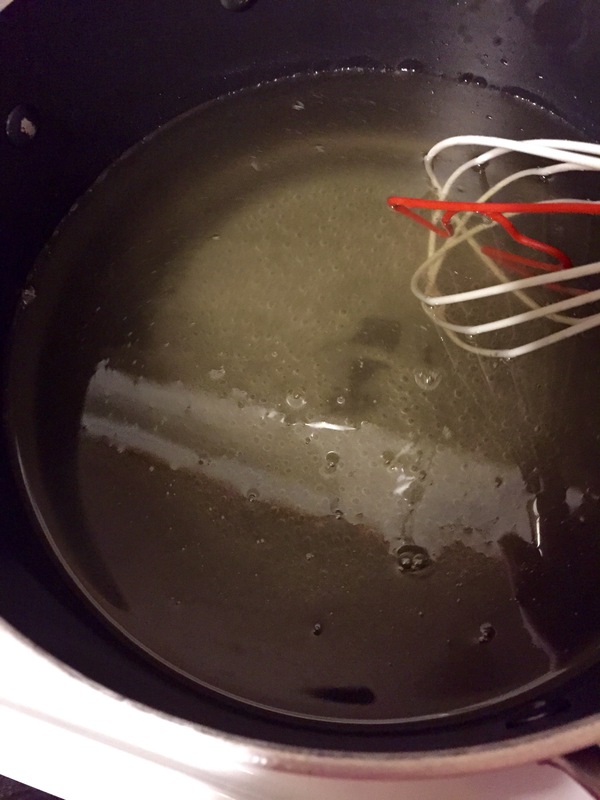 Mix the sugar and water in a saucepan/pot on your stove. I warn you, it’ll seem so extreme when you see all of that sugar. Lol. Heat the mixture on medium-high until the sugar dissolves and the liquid is clear (takes 5-10 minutes). You will see the following, but that’s not enough. It’s tempting to stop now, but trust me, if you keep going it’ll become so beautifully clear you can see the tiny nick in the bottom of my pot. *laugh* Stir/whisk the liquid until the sugar is fully dissolved. Sometimes it’s hard to tell if there is sugar at the bottom or just bubbles, so I usually turn it down a tad when I’m unsure, which reduces the amount of bubbles and lets me see the bottom clearly. Let it cool enough to pour into a bottle or jug and seal it (I just use a lidded jug with a pour spout that is blocked when I turn the lid). If you let it cool too much and you see some crystals start again on the top (like if you’re trying to multitask and vacuum while waiting, but encounter a little detour that you have to clean up in order to finish vacuuming, and then you have to fold that fresh load of laundry, and oh no! you suddenly remember the mixture after an hour *grin*), just warm it back up. Most believe that simple syrup can sit sealed on your countertop, although some people feel quite strongly that it must be refrigerated. I’m not about to tell you what to do, but I will say that mine sits on the counter not far from my tea maker, and the only problem I’ve ever had is when I’ve forgotten to close the seal and some of it formed clumps of sugar. 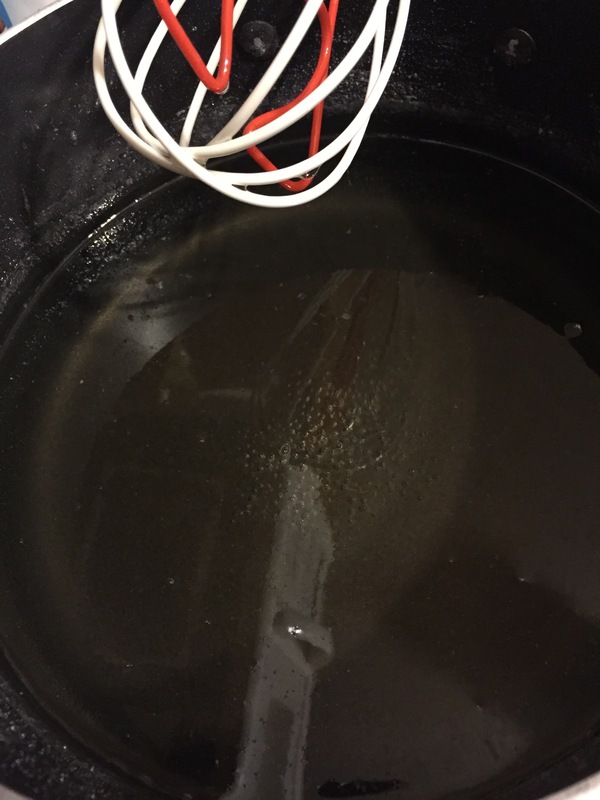 A great thing about the syrup is that it’s really easy to flavor, too, by cooking with a vanilla pod, extracts, herbs, or even mixing in some steeped flavored tea into the mixture while dissolving the sugar. www.food.com has some great recipes/instructions for flavored syrups. 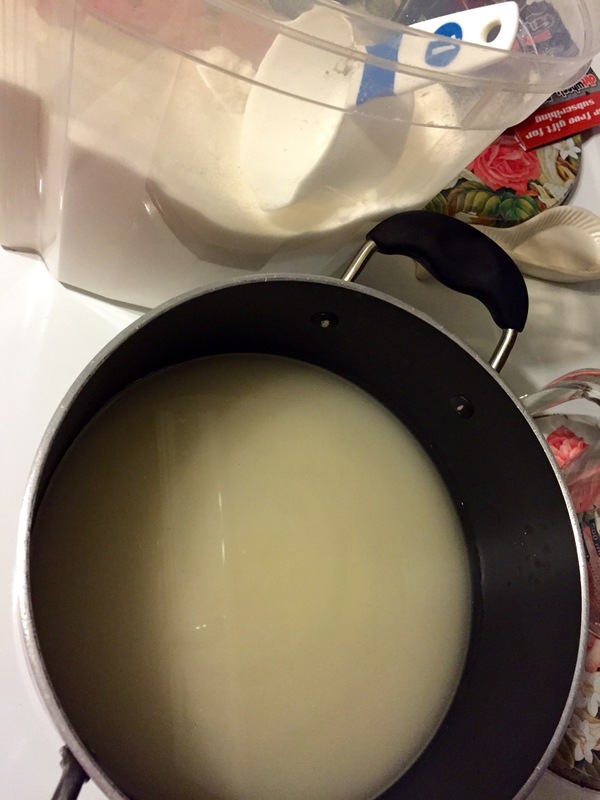 Posted in Recipes and tagged Basic recipes, NaBloPoMo, Simple syrup. Bookmark the permalink.